Peep hole maternity wear top! The “peep hole” detail on this maternity t-shirt creates pretty gathers over the bust. The detail works well to draw the eyes up to the face. Peep hole maternity top in pink! 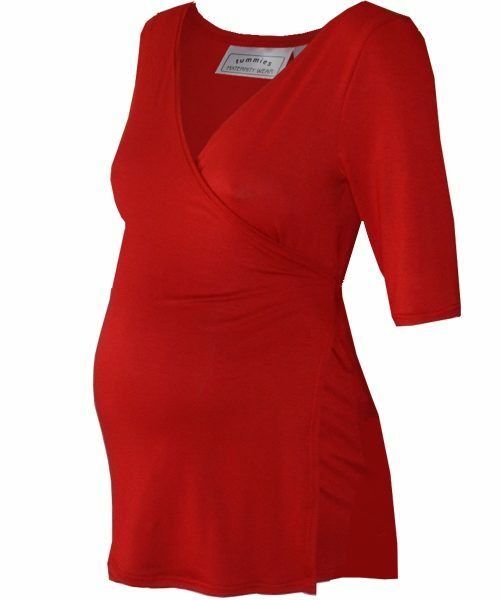 The “peephole” detail on this maternity t-shirt creates pretty gathers over the bust. The detail works well to highlight your bump and also draws a little attention away from it, creating a flattering silhouette. The detail is created by a durable plastic ring, keeping its shape and place. The peep top is a popular style because of its simplicity and an all round best seller. The style is fitting, manufactured in a soft and stretchy soft viscose lycra.